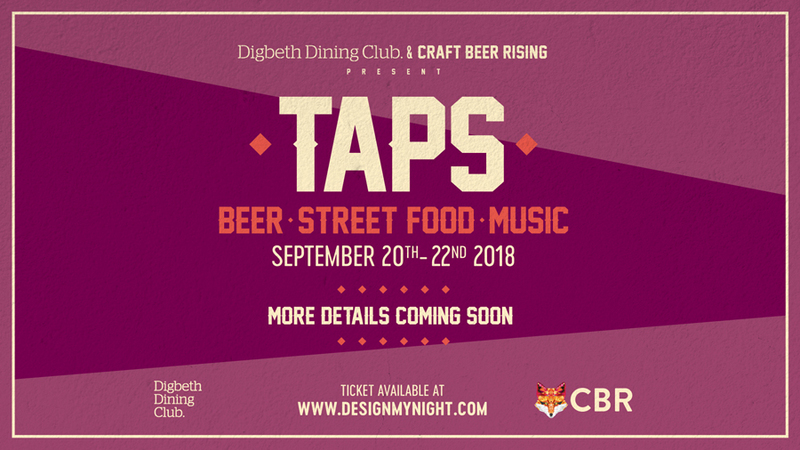 TAPS is coming to Brum! The UK’s largest craft beer festival is to team up with one of the UK’s most popular street food destinations for a three day celebration of beer, street food and music. ‘TAPS’ is the coming together of Britain’s most reputable independent beer and cider breweries, award-winning street food and music. Co-hosts, Digbeth Dining Club, the biggest street food event outside of London, and two time winner of Britain’s Best Street Food Event will curate an award-winning street food programme to go with the lineup of breweries. Also founded in 2012, Craft Beer Rising is the UK’s biggest craft beer festival, and welcomes over 12,000 people every year to the famous Old Truman Brewery on Brick Lane. As well as showcasing over 175 independent beer and cider breweries from around the UK, Craft Beer Rising also plays host to some of the biggest names in the music industry, including Don Letts, Norman Jay MBE and Massive Attack’s Daddy G.
For 6 years we have been championing independence in the Birmingham food scene and now we want to do the same for Birmingham brewers, distillers & natural wine players. Teaming up with Craft Beer Rising was a no brainer for us – they share our passion for independence and delivering a great event. We’ll be unveiling more details on who’ll we’ll be adding to the food and drink lineup and guest DJ’s in the coming weeks. The three-day celebration will take place across 5 different day and evening sessions at the Custard Factory in Digbeth. ‘TAPS’ runs from Thursday, 20th September – Saturday, 22nd September, with ​tickets starting from £​8, which includes a free glass. Tickets can be bought ​here. For more information on the event, follow @TAPSBEERFEST on ​Facebook​, ​Twitter​ & ​Instagram​.